A mailing list is a group email address with a number of subscribed users. 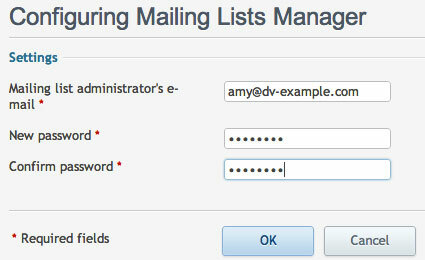 Mailing lists are used for sending email messages to multiple recipients at once. Email messages sent to the subscribers can include anything from plain text to colorful newsletters and promotions with embedded images and links, and attached multimedia presentation materials. 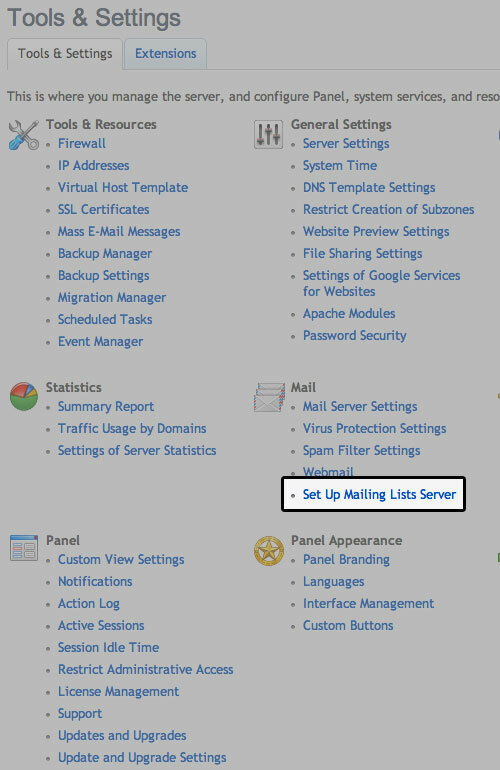 This article will show you how to set up and manage mail groups using the Plesk Control Panel. A mail group simply allows you to create one email address, which can then be used to forward mail to multiple email users on the same domain. 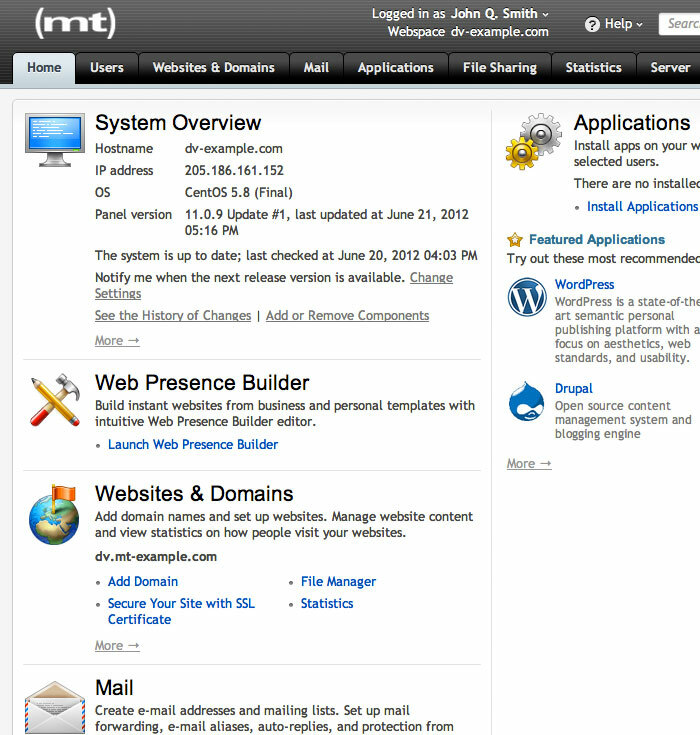 The following uses the domain dv-example.com as an example. Be sure to replace this domain with yours. First, let's set up your mailing list server. Log into your Plesk Control Panel. Click on Set Up Mailing Lists Server. 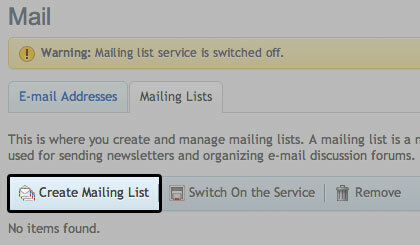 If this option is not available, this means that the Mailing Lists Server has already been configured. Skip down to Create the Mailing List. Enter your information and click OK.
You will receive a confirmation message that the mailing list server has been set up. Click on Create Mailing List. 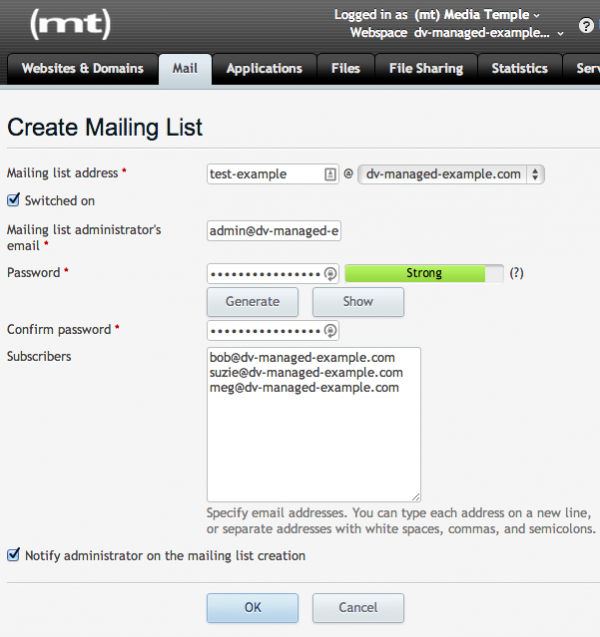 Creating a new mailing list will automatically turn on the mailing list server. Complete the form and click OK to save your list. Click the mailing list address. Do any of the following. 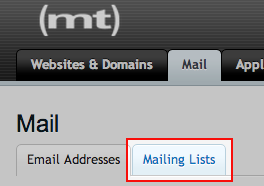 To subscribe users to the mailing list, type their email addresses into the Subscribers field, one address per line. To unsubscribe users, remove their addresses from the Subscribers field. 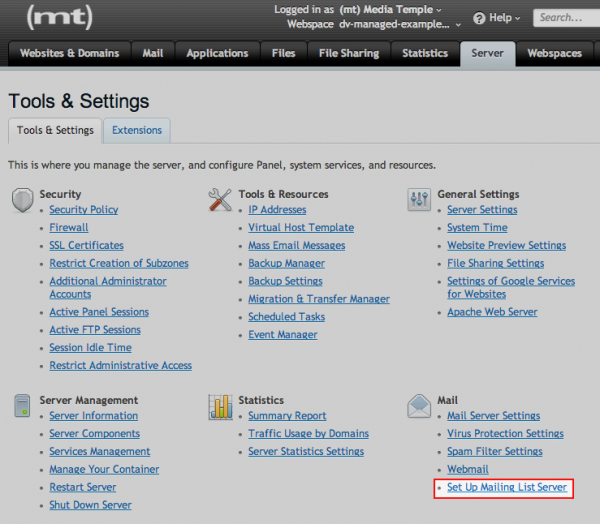 Next to the appropriate Domain Name, click Hosting Settings. 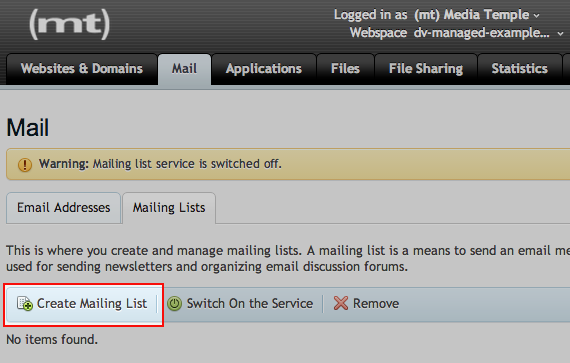 On the Server tab, click Set Up Mailing Lists Server. You will receive a confirmation message that the mailing list server has been set up.. 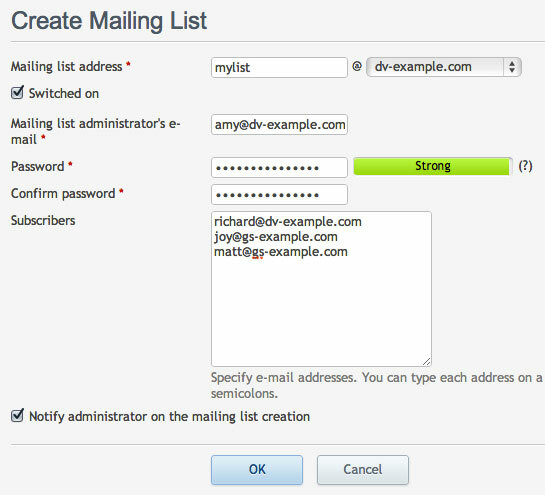 The mailing list is created and displayed in a list.